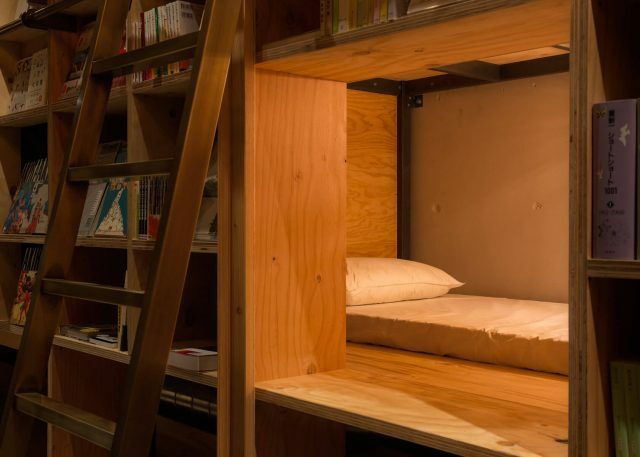 Imagine crawling into bed inside of a bookshelf. You curl up with a novel in a cozy cubbyhole surrounded by the thousands of stories on the shelves around you and eventually drift off into a perfect, book-fueled dream. 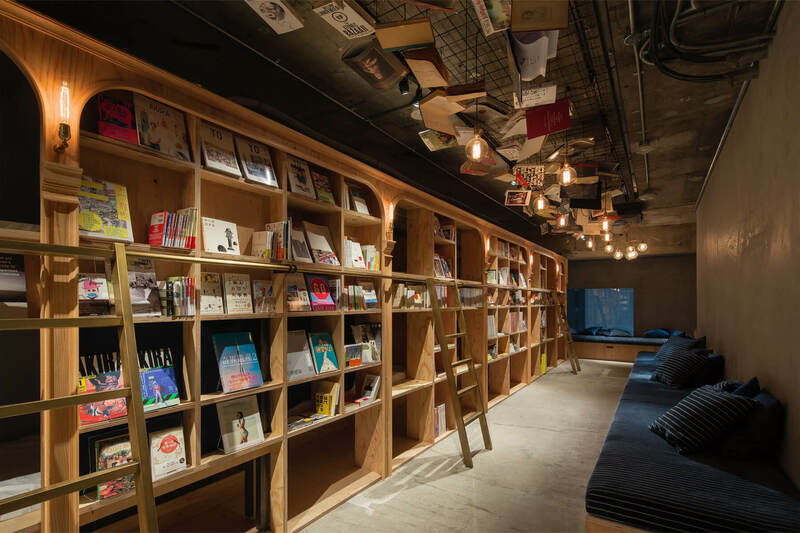 This is more than just every book lover’s dream– It’s a possible reality for literature lovers who happen to be visiting Tokyo. 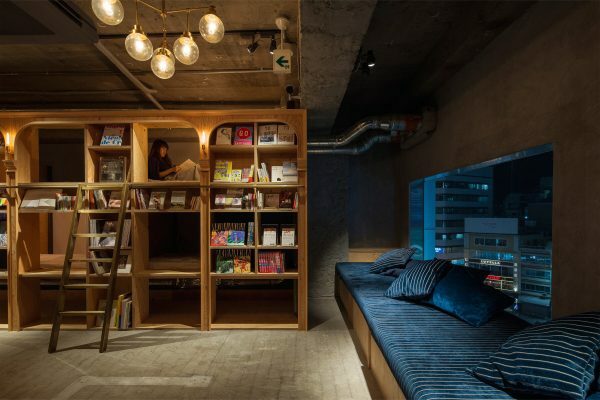 Book and Bed is a hostel in Tokyo, Japan with room for up to 30 guests to sleep snuggled up amongst 3,000+ English and Japanese books. So all those times you’ve walked into a bookstore and drifted away to fantasy land for hours while rubbing your hand along book spines, flipping through pages, and not-so-subtly smelling the fresh ink inside of them, and then had to be repeatedly told to leave at closing time? Yeah, that’s not going to happen here. I don’t want to be overly presumptuous, but I’m pretty sure anyone else who would opt to stay in this book dreamland would become an instant best friend. As long as they don’t interrupt me while I’m reading. Rooms start at 3,500 Yen, or approximately $34 USD per night and include free Wi-Fi (I guess you might put your book down at some point). Book and Bed is about to celebrate it’s one year anniversary this November. As of today, they maintain a solid 8.7 overall rating on Booking.com, with comfort being the biggest (and most understandable) concern. Personally, I think I’d be comforted enough by the good vibes that radiate off bookshelves and the fact that I’m sleeping inside of one to be bothered by anything else.